Science fiction movies about aliens threatening the Earth routinely ascribe them the motive of coming here to steal our resources, most often our water. This is ill thought-out, as water is actually extremely common. Any civilisation coming to our solar system in need of water (either to drink or to make rocket fuel) would be foolish to plunge all the way inwards to the Earth, from where they'd have to haul their booty back against the pull of the sun's gravity. Until recently, we believed that the Earth was the only body in the solar system that had water in liquid form. While it is true that the Earth is the only place where liquid water is stable at the surface, there's ice almost everywhere. Many scientists also infer that liquid water may exist beneath the surfaces on several bodies. But where in the solar system are we likely to find it and in what form? Could we ever get to it and, if so, would we be able to drink it? If you are interested in finding places were extraterrestrial microbial life might occur, then you should look for liquid water, or at least "warm" ice within a few degrees of melting. Those places are widespread, if you are prepared to look below the surface of cold bodies or around the edges of patches of permanent shade on hot bodies. 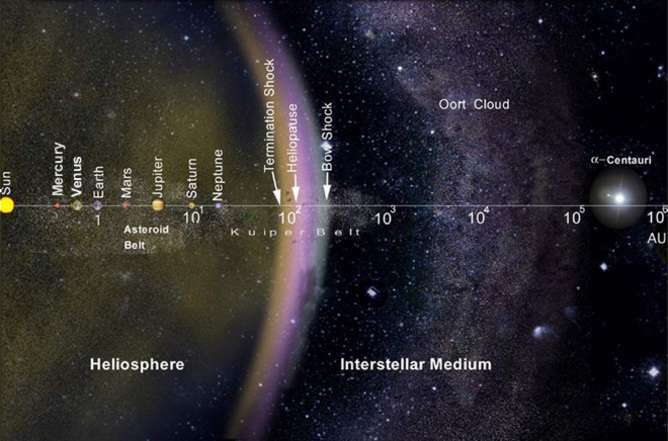 Furthest from the sun is the Oort Cloud, a region where most comets spend most of their time some 10,000 times further from the Sun than the Earth is. They are mostly water-ice, with traces of various carbon and nitrogen compounds. Because of those you wouldn't want to drink comet water neat, but there is probably about five Earth-masses of water out there. We can't be sure, because only the comets that stray close to the sun can be directly studied. Most comets are less than about 10 km across, and out in the Oort Cloud they are separated by vast distances, so if you wanted to harvest a lot of water it might be worth travelling inwards as far as the Kuiper Belt about forty times further from the sun than the Earth is. 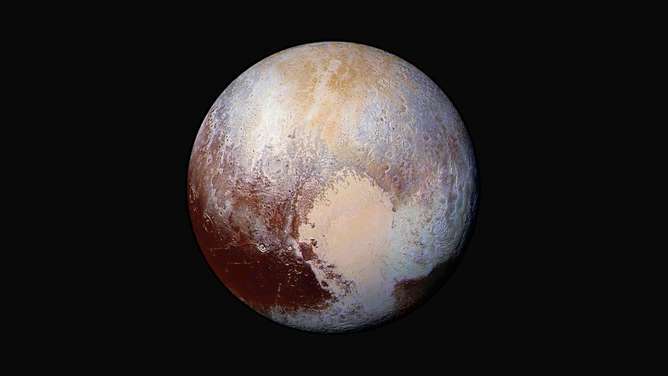 Here there are bodies up to just over 2000 km in diameter, like Pluto. These are mostly water-ice surrounding rocky cores, but ices made of more volatile substances may coat their surfaces. A few may even have oceans of liquid water tens or hundreds of kilometres below their surfaces. Neptune, Uranus, Saturn and Jupiter are the giants of the solar system. Deep inside, and confined by very high pressure, each of these is believed to contain several Earth-masses of water, sandwiched between its rocky core and its outer layers of hydrogen and helium gas. There is no feasible way to get at that water, but the giant planets each have numerous moons that are made mostly of ice. Far from the sun, the ice contains methane, ammonia and carbon monoxide as well as water. However, at the distance of Jupiter from the sun, only five times further out than the Earth, it was too hot for the more volatile ices to condense, resulting in relatively pure water ice. 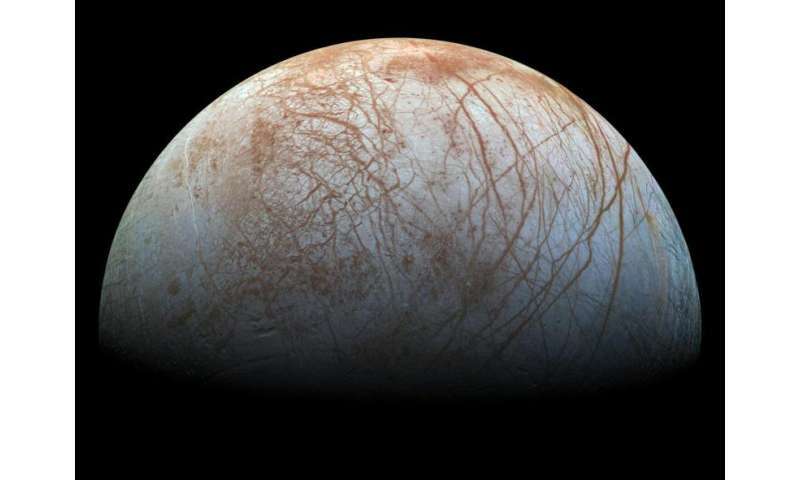 There is compelling evidence that several icy moons have internal oceans. The best places to look for life are where the ocean overlies warm rock. This may be the case inside Europa (Jupiter) and Enceladus (Saturn), but chemical reactions with the rock would make the liquid water salty, so not good to drink. Closer to the sun, Mars, Earth, Venus and Mercury are in a region that was too hot for ice to condense when the solar system was forming. Consequently the planets are mostly rock, which can condense at higher temperatures than ice. The only water on the rocky planets was either trapped inside minerals and then sweated out from the interior, or was added at the surface by impacting comets. 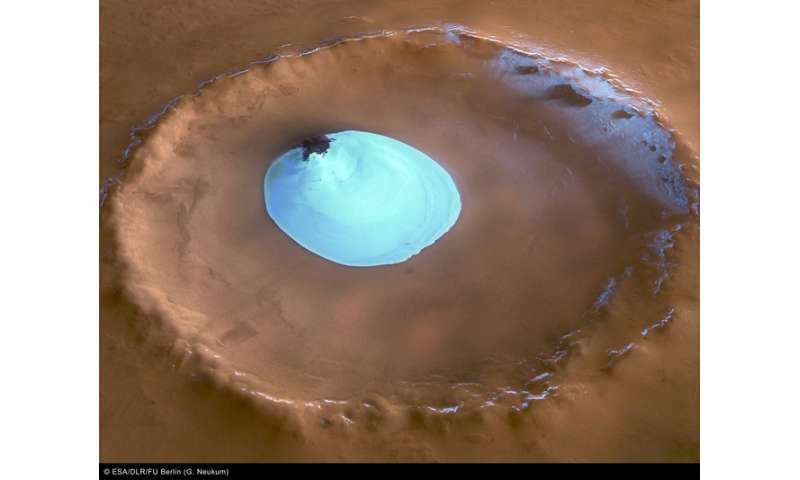 Mars probably once had at least as much water proportional to its rock as the Earth has, but it is a smaller body with weaker gravity and no magnetic field, allowing most of its water to have been lost to space. However, water certainly flowed on Mars's surface in the past and there are intriguing signs of water seeping downslope to form gulleys even today. However, in order to survive as a liquid this would probably have to be very salty indeed. We know for sure that there is water-ice in the polar caps too, but neither setting seems hospitable to life. However, if you took the right kind of terrestrial microbes to the right places on Mars, they might be able to scratch a living. What we are less sure of is whether microbes have already made the trip between planets, hitch hiking on meteorites. Whereas Mars is too cold, Venus has been too hot for liquid water for most of its history. However, there are water droplets high in its atmosphere. This is not worth collecting as a resource, and a very long shot as a means of supporting microscopic airborne life. The last place you might expect to find water is Mercury, because it is mostly far too hot. However, there are craters near the poles onto whose floors the sun never shines. 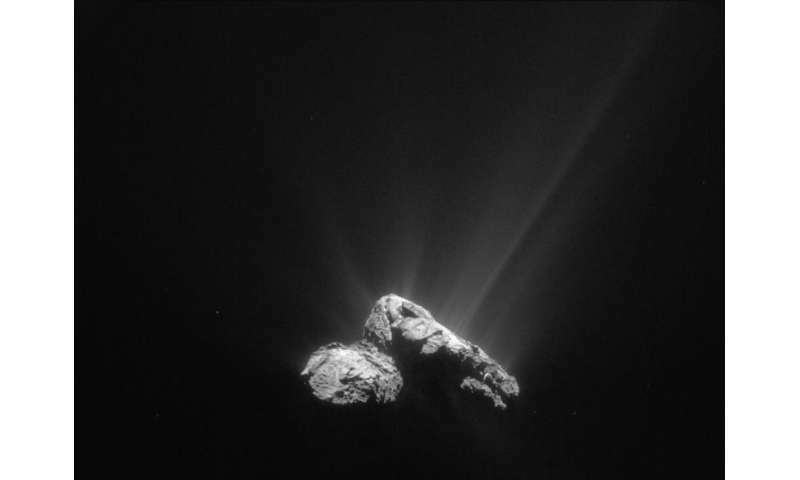 The presence of water-ice in these regions, delivered by impacting comets, has been demonstrated be several techniques and cannot be doubted. 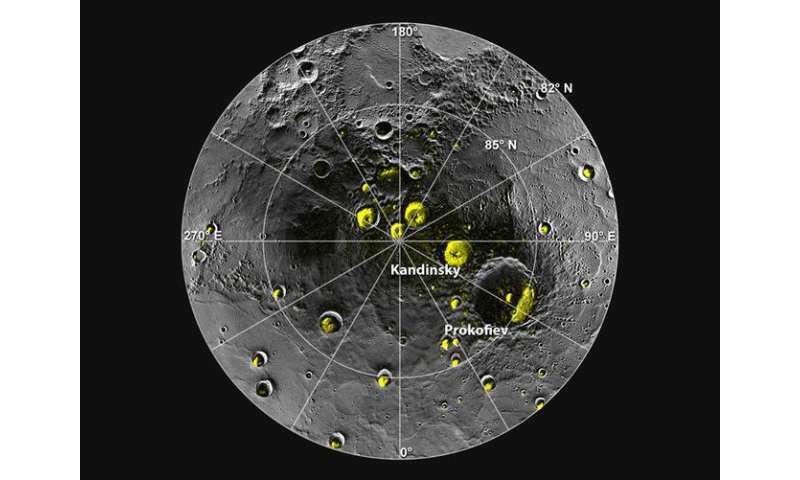 Similarly "cold-trapped" water-ice has also been found inside polar craters on the Moon. This may be one of the first solar system resources that we, rather than visiting aliens, exploit as we leave our home world and make our way into space. What makes the solar system interesting to astronomers?